How To Turn Scrap Metal In To Batteries? Scrap metals such as steel, brass metal, screws, shaving metals, pipes and much more can be converted into batteries by using chemical processes known as anodization. It’s a known fact that one person’s trash is other person’s treasure. According to the archeological finding, junkyard metal can be used to make pill bottle sized battery. Trash/scrap which is useless to people can be significantly used to make batteries. It just takes a little bit chemistry knowledge to turn scrap into usable batteries. Scrap batteries have quick energy delivery but as compared to the type of devices that are usually quick, these batteries can hold just a little more energy for the given mass. * Why Transformer rating in KVA instead of KW. Scrap metals such as steel, brass metal, screws, shaving metals, pipes and much more can be converted into batteries by using chemical processes known as anodization. Steel scrap can be anodized to get iron oxides that is formed on the surface of steel material in small sized rods. Copper oxide is obtained by anodizing brass that is found on the surface of brass that looks like some micro sized thorns. * What is an autonomous car? Anodized metals are then placed inside a glass jar further a potassium hydroxide solution is added to make a working battery. This battery made with scrap metal results in providing a burst of energy quickly. When brass and steel scrap are anodized using some common domestic chemical and electric current, the metal surface is reorganized into a nanometer-sized setup of metal oxide that can save and discharge energy while reacting with water based unsolidified electrolyte. * What is Aeromobil or flying vehicle? Engineers have used some bits of metal scraps and also some household chemicals to make the first ever steel brass battery that can be used to store energy at different levels as compared to lead-acid batteries. These scrap batteries on the other hand charge and discharge energy at rates compared to ultimate-fast charging super-capacitors. This is a common chemical treatment that is used to provide aluminum a decorative and robust finish. The nanometer domains enlighten the fast charging behavior that is observed and also the exceptional stability of the scrap batteries. After testing the batteries consecutively for 5000 charging cycles for over 13 years scientists have determined that these batteries retain more than 90% of its entire capacity. * What is electrical resistance and its formula? This breakthrough has identified a new research for how the batteries will be made in the future. This might open a new trend where people can make batteries for themselves at home on their own and can even manage to provide electricity to their homes rather than getting electric connection from grid stations. This movement has been seen to start from a contemporary society that leads to the culture where product expansion and manufacturing is decentralized and its climbed down to the communities or individuals. And that is the scale where battery technology will begin and we will move onto that. * Types of engineering careers for students. There are other uncovered ways to make junkyard batteries with safe chemistry methods. 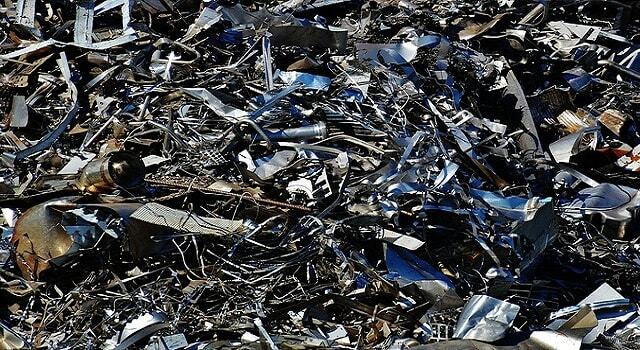 Imagine that the heaps of metal scrap discharged each year can be used to make energy storage to reintroduce future energy grid rather than becoming a problem for the waste processing plants and the atmosphere. * Career growth opportunities for engineers in KSA.